Simple, effective and consistent results. I love tools. I don’t think you can have too many. Occasionally I come across one that I say, how did I live without that? That is how I feel about this tool. 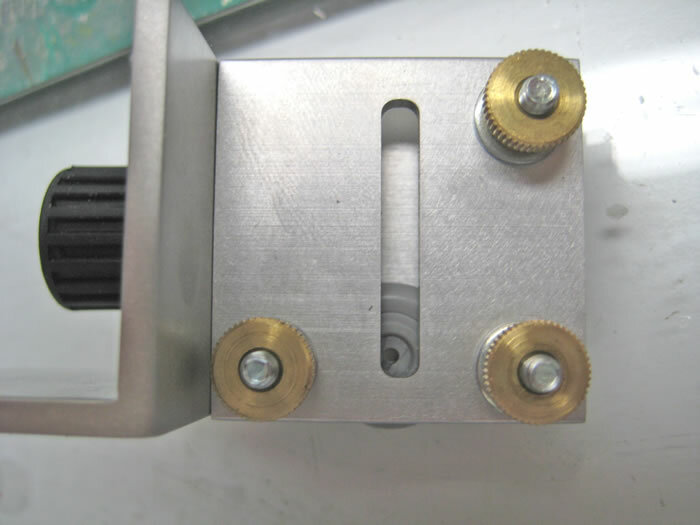 More than a simple jig, this machined metal tool allows you to flat sand the bottom of the wheels evenly and consistently. Let’s face it a perfectly round wheel is not realistic nor is the flat wheels that are common on aftermarket wheels. That is where this tool comes in, the perfect balance of weight without being flat. How do you use it? Simple get your tire from the kit, clean up the seam lines, set the angle, clamp the wheel between the flat spots on the tool and leave about 1/8 inch out the bottom. Then simply sand with 320 sandpaper while applying pressure to the base plate. It is that simple, but does it work? 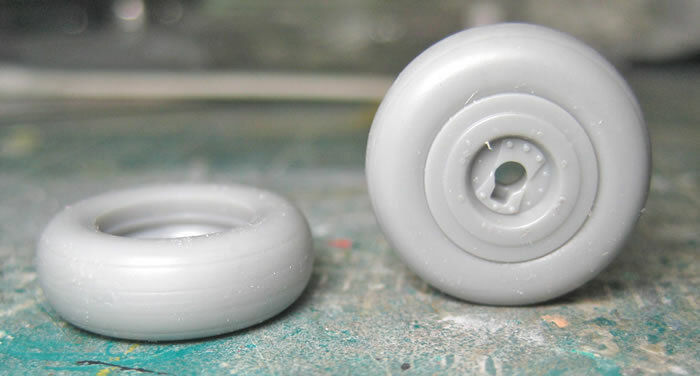 I tried it on some Hasegawa P-40 wheels as they were straight up and down. I was pleasantly surprised with the ease that I was able to get a nice flat spot. I know you are going to say I do the same thing by sanding in a circle. I don’t think so. 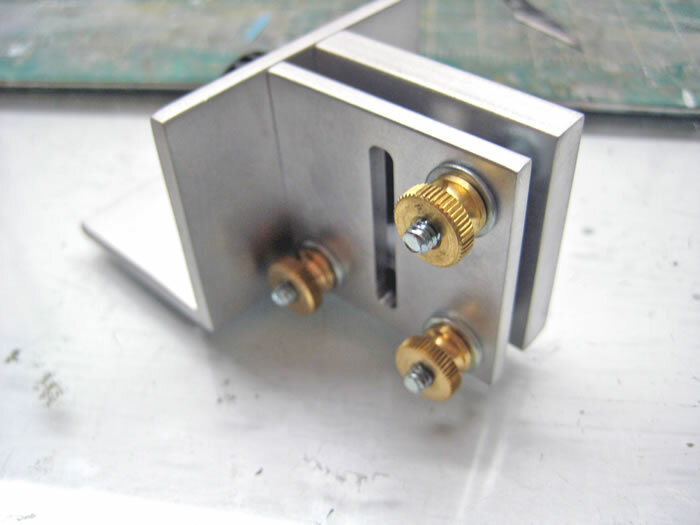 This tool ensures that the spot is flat, not beveled. This makes consistent sanding of the wheels a breeze. One thing that gets me about all those aftermarket wheels is that they tend to forget the tail wheel which is under more strain than the mains. It was a breeze to change the tool over to the smaller size and work the tail wheel again flat. I got consistent results and a very convincing stance regardless of the scale, very nice. I thought what would happen if I took the wheel out and I didn’t like the amount I removed and needed to remove more? It was a simple matter to re-chock the wheel with the flat spot out and repeat the process. But what about 109s their wheels are at an angle? I do tend to build an awful lot of them so I need something to get them right. I’m always screwing them up. Well I’m pleased to report that it is just a matter of turning the back clamp adjustment knob, set the correct angle, sand and viola done. It also works on those previously bulged tires. After removing them from the pour block it is a simple matter of doing the same process. What if my tire has protrusions that I’m worried that the metal will damage? 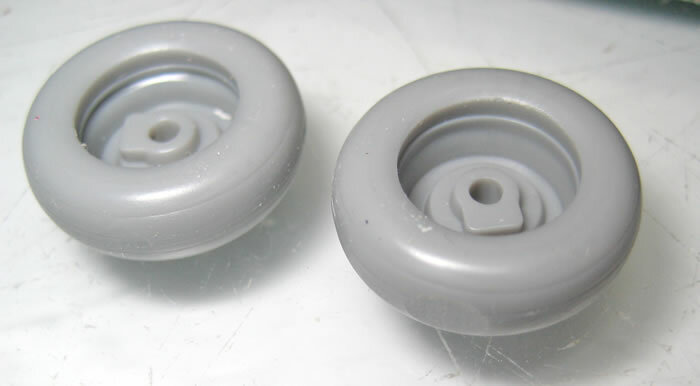 CB Models provides rubber o-rings that can be white glued to the tire to preserve detail and clamped in the tool. Once sanding is done it is a simple matter of pealing off the o-ring and washing the part, which you have to do anyhow. What a great tool. Simple, effective and consistent results. It will take a prominent spot on my model bench. How did I live without this before? I’d like to thank CB Model Products for the review copy. The price is $25 USD plus shipping. You can obtain your copy by contacting them at cbmodelproducts@hotmail.com . Tell them Floyd sent you.